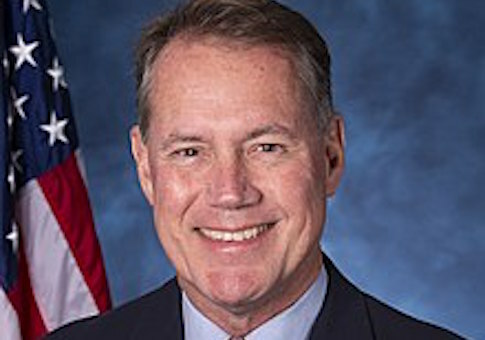 Rep. Ed Case, a newly elected Democrat from Hawaii, apologized on Wednesday after saying he was an "Asian trapped in a white body." National Journal data analyst Nicholas Wu reported Case's remarks from a Tuesday night event billed as a "celebration of Asian American and Pacific Islander members of the 116th Congress." As the Washington Post noted, "It's unclear what the pretext for Case's speech was, but Wu tweeted a picture showing the congressman speaking at a lectern, indicating that he had been invited to give remarks." Responses to the original tweet that reported the remark were filled with gifs of celebrities and others generally shaking their head "no" or giving quizzical or pained expressions. "I just oof'd so hard I blacked out for a sec," one person responded. "Like so many others from Hawaii who treasure our multicultural heritage, I have absorbed and live the values of our many cultures," Case wrote in an emailed statement to the Post. "They and not my specific ethnicity are who I am, and I believe that this makes me an effective advocate on national issues affecting our API [Asian-Pacific Islander] community." The Post also reported that "Case spokesman Nestor Garcia clarified that the congressman was commenting ‘on what his Japanese-American wife sometimes says about him.'" Although Case was not an incumbent when he won his seat this past November, he also isn't a newcomer to politics or to Congress. He served in Congress from 2002 to 2007 and has also run for the U.S. Senate twice, but failed to win the Democratic primary in both instances.